Twitter67P as it is more familiarly known, is the same icy small Solar System body onto which Rosetta famously delivered the Philae lander in November 2014 – the first time a spacecraft had ever landed on a comet. The Rosetta spacecraft crash-landed on the surface of comet 67P in a region called Ma'at, on the smaller of its two lobes. During its billion mile journey, the craft observed the comet, collecting a treasure trove of information which will keep scientists busy for decades. Astronomers at Queen’s have been supporting the mission by using the world’s largest telescopes to study the comet hundreds of millions of miles away. Members of the solar system team at Queen’s explained their work at the Science Uncovered event at the Ulster Museum on 30 September. Professor Alan Fitzsimmons from the University’s Astrophysics Research Centre in the School of Mathematics and Physics, also discussed the Rosetta mission on The Sky at Night on BBC4 on Sunday 2 October (available on iPlayer in UK until end 01 Nov). Reflecting on the bittersweet end to the mission he said: “While it will be sad to finally see the end of the mission, Rosetta’s landing also provides an opportunity to celebrate the achievements of everyone involved in this ground-breaking mission. "On 12 November 2014, Rosetta secured its place in the history books when it sent the Philae lander onto the surface – the first ever spacecraft to land on a comet. Rosetta and Philae have revolutionised our understanding of comets and their birthplace – the solar nebula from which the Earth formed 4.6 billion years ago. "Throughout this mission, Rosetta has viewed in unprecedented detail the changing surface of the comet and the material it has released. Among the many findings was the discovery of hard ice on the surface, the first probing of a comet interior by radar, and the detection of amino acids in a comet." Astronomers at Queen's have been part of an international team who used almost all large telescopes on Earth, from the Very Large Telescope in Chile to the William Herschel Telescope in the Canary Islands. Current Astrophysics PhD student Andrew McNeil, from Ballyclare obtained some of the telescope images. He said: “Having watched the comet capture the public’s attention when Philae landed, it was remarkable to see this comet first-hand in our own observations. Even at this distance, there is so much to see from the Earth, although I would recommend to anyone with an interest in the Rosetta mission, or in space science, to view the incredibly detailed images captured by Rosetta on the ESA Rosetta Blog." 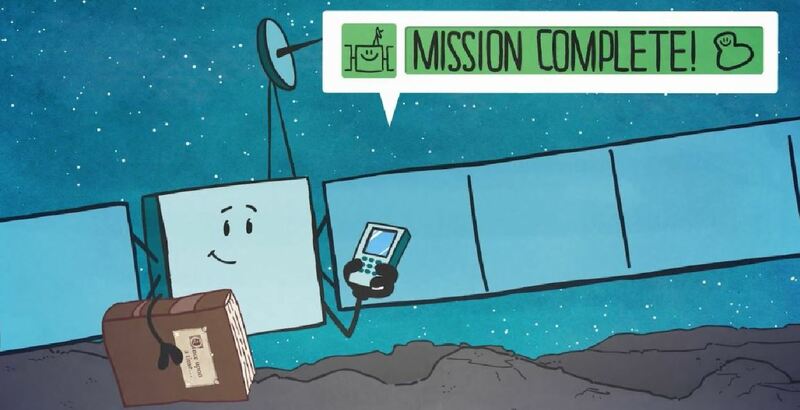 Although Rosetta was put down as gently as possible on the surface of the comet, it was not designed to land so the mission scientists lost contact with the spacecraft at the moment of touchdown. “It will continue to send information until the final seconds, but the work won’t end then. We still have months and years of working through all the data to uncover everything we can," said Professor Fitzsimmons. Media inquiries to Anne-Marie Clarke (Mon-Wed) and Michelle Cassidy (Thurs-Fri) at Queen’s University Communications Office, tel: +44 (0)28 9097 5310.